When it comes to female TV characters, some of them are great at being moms, some are just plain bad moms, and some simply never have children of their own on the show. And this time we decided to focus on the last category. We wanted to see how many female characters who don't have kids are actually played by actresses who already have (or have later gotten) kids. And frankly, some of these characters we absolutely cannot imagine as mothers, which makes seeing the actresses who play them with their children really weird. From Serena van der Woodsen over to Carrie Bradshaw all the way to Olivia Pope, they are all truly fierce and amazing leading ladies, but when it comes to motherhood, it just doesn't feel right. However, the truth is many of them are actually played by mothers, and some have even met their baby daddies on set, while others actually shot a bunch of scenes with visible bellies. Either way, we thought seeing a comparison like this might be fun for all of us who are obsessed with binging shows. Here they are: 20 iconic female TV characters we're having a hard time imagining as mothers, but they really are IRL. Another female TV character that we just can't imagine as a mom is Melisandre from Game Of Thrones. Yup, no one can imagine the Red Priestess as a loving and caring mother, especially not after what she did to Stannis Baratheon's poor daughter Shireen. Not to spoil anything to anyone, but it get's pretty bad. 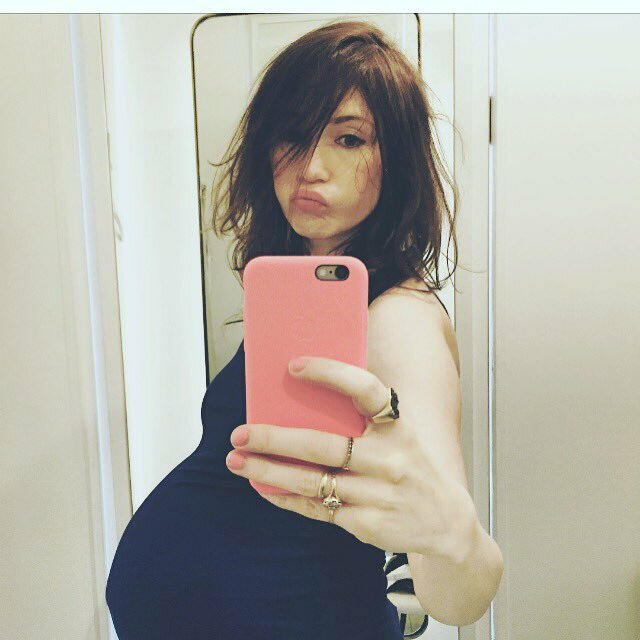 The actress who plays Melisandre on the other hand, Carice Van Houten, already has a two-year-old child, and while we're pretty sure she's doing great as a mom, we just cannot imagine Melisandre being one. She definitely does not have the soul for it. Remember Marie Schrader from Breaking Bad? Yup Hank Schrader’s wife, also known as the kleptomaniac that got her sister in a lot of trouble. Well on the show Marie never had kids, and tbh we also can’t really imagine her having any. 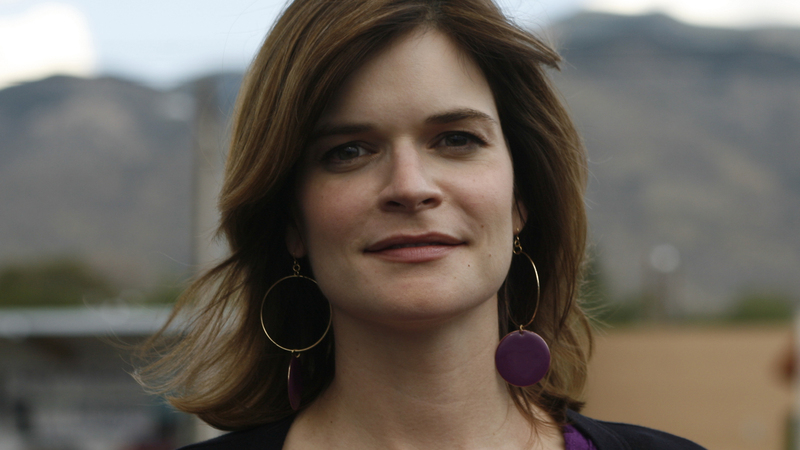 The actress playing Marie on the other hand, Betsy Brandt, has two children of her own, Josephine and Freddie. The Screen Actors Guild Award winning actress seems to have a perfect family life, and while we love Hank and Marie as a married couple, they definitely seem like one of those couples who are better off without kids. Here’s a strong and independent female character that was a huge role model for plenty of '90s kids, and for good reason. At the age of fifteen, Buffy became a vampire slayer and ever since she inspired a bunch of girls (and boys) on how to be bold and strong in their own way. Either way, while Buffy sure had her array of love interests, she never really had a child of her own. 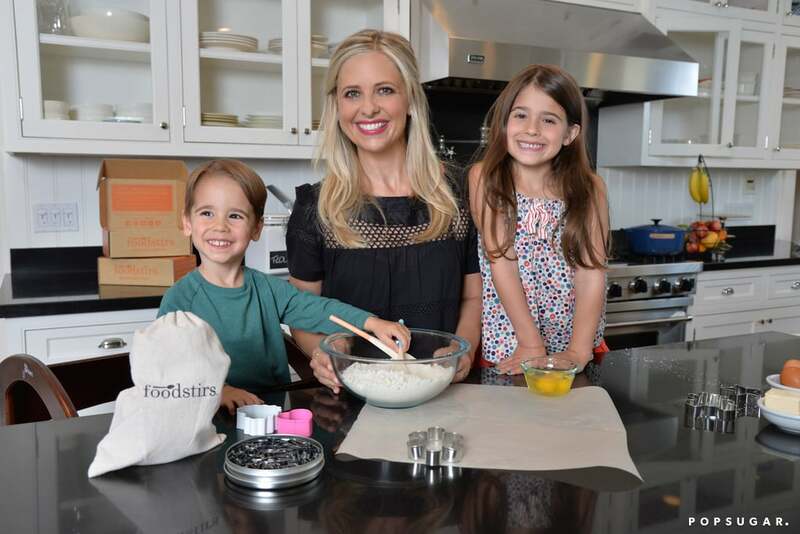 Late '90s iconic teen actress Sarah Michelle Gellar on the other hand has two adorable kids with her hubby (and fellow late-'90s teen idol) Freddie Prinze Jr. Ahh, true love must exist after all! Who could have imagined Serena Van Der Woodsen, the queen of the Upper Eastside (sorry Blair Waldorf fans, but Serena was and always will be number one) as a mother? She spent her teens hopping from one party to another, living that luxurious life we all wish we could. But a mom? Nope we can't imagine Serena as one no matter how hard we try. But Blake Lively on the other hand, the actress playing Serena has two children with fellow Hollywood star Ryan Reynolds. Judging from the pics we've seen, little James and Inez seem like too happy kids! Laverne DeFazio from the iconic '70s show Laverne & Shirley was another lead female character without kids. Fun fact, Golden Globe nominated actress Penny Marshall who was playing Laverne already had a daughter at the age of 21, which means she had her throughout the shooting of the whole show. In the pic above you can see her daughter Tracy Reiner as a teen visiting her mom on set! Must have been a fun time for Tracy, but anyone who has seen Laverne & Shirley can agree that tough-talking tomboy Laverne just doesn’t seem like the motherly type. If there’s one iconic TV character we’d had to pick that doesn’t have kids on the show, but the actress does IRL, it would definitely be Sarah Jessica Parker. Her flawless portrayal of the ultimate goddess of NYC, Carrie Bradshaw is something no one will ever be able to top. And while some of the leading ladies had children, others (including Carrie) never did, and some never wanted to. Seeing this on such a cult show was so important, because choosing not to have children doesn’t make someone any less of a good person. Anyways, Sarah Jessica Parker has three adorable kids, two of which you can see above at a red carpet event! Now let’s move on to Claire Underwood, aka Franics J. Underwood’s wife in House of Cards, who is another strong and boss TV lady who doesn’t have kids. Unlike her character on the show, U.S. actress Robin Wright (who won a Golden Globe for the role) has two children of her own. Dylan Frances and Hopper Jack, whose dad Sean Penn is also pretty famous, love going to red carpet events with their mom. And can we just say that judging from the picture, the two definitely take a lot after their mother, especially when it comes to their gorgeous blue eyes. Another classic female TV character is Elaine Benes from the sitcom Seinfeld, portrayed by actress Julia Louis-Dreyfus. For her role as Elaine, Julia received a multitude of awards, including an Emmy, a Golden Globe, and five Screen Actor Guild Awards. While Elaine on the show never had kids, actress Julia Louis-Dreyfus has two already grown-up kids with actor Brad Hall. And as it is with most celebrity kids, Charlie and Henry love accompanying their famous parents to fancy events. Can we blame them? Either way, the four really do look like a happy and loving family. Not something we can imagine Elaine having. Every teen in the early 2000s watched The O.C., and chances were they were either a Marissa or a Summer fan. And when it comes to Summer most of us remember her as a kind of bratty, posh, and annoying character, at least until she fell in love with Seth Cohen. And while the two did have a happy ending, we sort of can’t imagine Summer having kids. Actress Rachel Bilson who’s playing her does have a child with actor Hayden Christensen, a 4-year-old daughter named Briar Rose. And honestly, whenever we see pics of the two, we can’t help but imagine Summer as a mom… and somehow it just doesn’t feel right. We could not have made this list without a character from everyone’s favorite Shona Rhimes show Grey's Anatomy. And who would better fit on here than Izzie Stevens who was a surgical resident at Seattle Grace Hospital. On the show Izzie never had kids, so we figured she's comfortably fit on here, meanwhile actress Katherine Heigl who's playing Izzie has three kids with husband, U.S. singer-songwriter and actor, Josh Kelley. The first two, Nancy Leigh and Adalaide were adopted, while Kathrine gave birth to their youngest son Joshua. Judging from the pic above, seems as if the family couldn't be any happier! Pretty Little Liars was a cult teen show for all younger millennials out there, and the fact that it ended still makes a lot of us pretty sad. Out of all four leading girls, Spencer Hastings, the super smart but still quite troubled character is the one we just can't imagine having kids of her own. Actress Troian Bellisario who was playing Spencer on the other hand just welcomed her first daughter with Suits actor Patrick J. Adams in fall 2018. The couple shared the lovely news through picture posted on social media of their little one holding her parents' hands. The Adventures of Sabrina show took over everyone's hearts by storm and was a hugely successful TV show this past fall. And while there's quite a few characters on there that we don't deem as suitable mothers, one stood out in particular. Ms. Wardwell aka currently Madame Satan is definitely too mean and too bad to have a child. 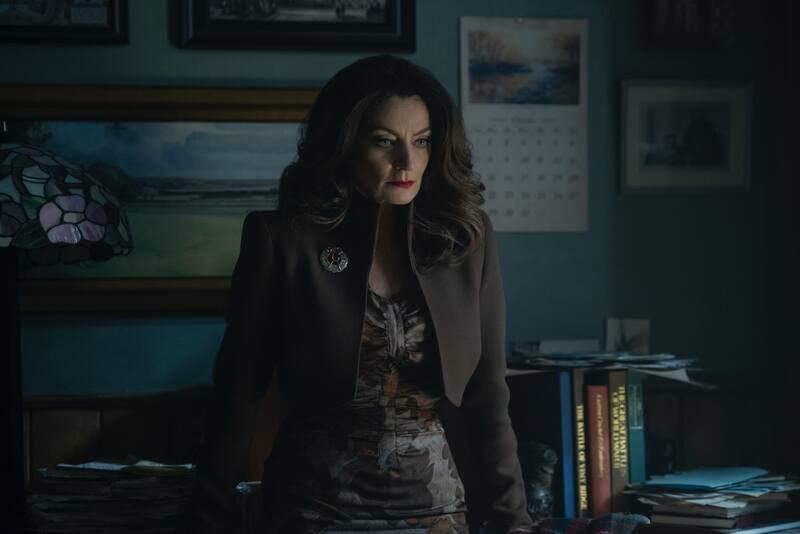 But actress Michelle Gomez who's portraying Madame Satan already has a nine-year old son named Harry with fellow Hollywood star Jack Davenport. And while Michelle is currently one of the scariest villains on TV, we bet Michelle is doing a wonderful job at being a mom! Okay, fair enough, if you've seen any of Westworld you're probably asking yourself why on earth is Dolores Abernathy on this list, since she is kind of a robot. Well, yes, but there have been other robots on that show who also had robot kids, and we honestly just don't think Dolores is cut for it. The first few episodes she seems nice, but (spoiler alert) later on something just happens and she grows way more cold. Actress Evan Rachel Wood who played Dolores in both seasons of the show has a five-year-old son Jack with English actor Jamie Bell. Now let's move on to Unbreakable Kimmy Schmidt. Some might argue that the lead character Kimmy could totally have kids, but we decided to still put her on this list taking into account her personality and well, not to spoil too much, but let's just say her childhood. In 2016, Ellie Kemper, the actress playing Kimmy had her firstborn son James with husband Michael Koman, a writer for Saturday Night Live and Late Night with Conan O'Brien. The couple seem to be living a very happy life, and while we aren't sure about Kimmy, we bet Ellie is a good mom! Anyone who has seen any episodes of the sitcom It's Always Sunny in Philadelphia can with certainty agree that Dee Reynolds is not someone we can really think of as being a good mom. I guess hanging out with those four guys all the time definitely had it's affect on poor Dee. Either way, actress Kaitlin Olson who plays Dee on the show has two lovely kids with her husband (and fellow It's Always Sunny in Philadelphia co-star) Rob McElhenney. As you can see from the pic above, the adorable Leo and Axel definitely took after both of their good-looking parents! Here's another couple who met while shooting a show, Kirsten Dunst and Jesse Plemons. Kirsten who played Peggy Blumquist in season 2 of Fargo is definitely not a character who we can imagine as her mom (and neither was daddy Jesse Plemons's charachter). In fact, Peggy got herself into so much trouble that she ended up in jail. Kirsten and Jesse on the other hand welcomed their firstborn son into the World in 2018. And can we all just take a moment to appreciate this stunning photo of pregnant Kirsten did posing in the Fall 2018 Rodarte lookbook, titled Women Who Inspire Us. We are in awe! We're slowly heading towards the end of our list, but of course we had to include at least one woman from Orange Is The New Black. And who better fit this than Alex Vause, everyone's favorite lesbian criminal. With Alex's lifestyle (even out of jail), we just can't imagine any kids, because well... it just wouldn't be a safe environment for growing up. 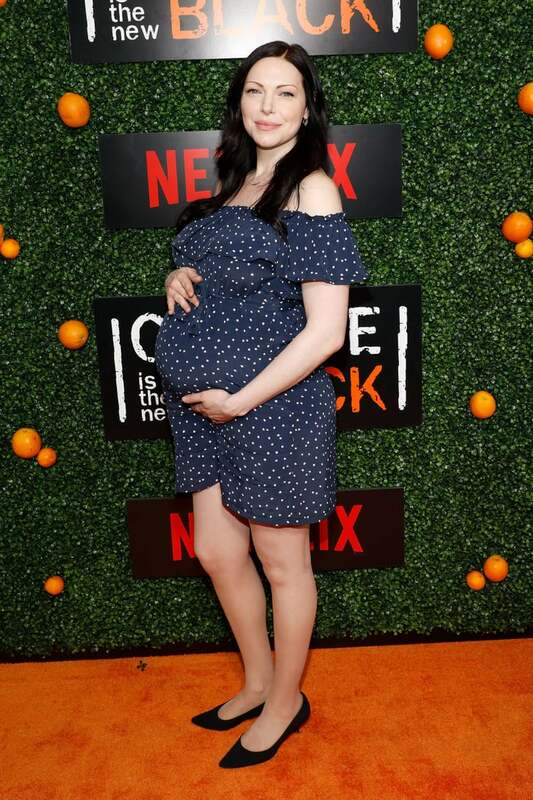 Actress Laura Prepon who plays Vause has one child with fellow Hollywood actor Ben Foster. The couple welcomed a beautiful baby girl in 2017 and they named her Ella. Laura and Alex couldn't be more of a contrast now, could they? Another show featuring a bunch of strong and relatable women is Girls. And out of the four leading characters, we decided to go for Jessa Johansson, who during the show on multiple occasions showed that she doesn't really want to have any kids. And while actress Jemima Kirke who plays Jessa seems to have quite a bit in common with her personality-wise, there is one big and crucial difference among the two: Jemima has two beautiful children of her own. And judging from the pic above the two are the spitting image of their famous mother, and they both seem pretty happy. Okay, some of you might immediately get a pregnant Phoebe image in your head, but don't be fooled, while actress Lisa Kudrow was pregnant in real life, Phoebe Buffay was only a surrogate mother, so technically she wasn't a mom in the true sense of the word. We guess even the producers of Friends couldn't see Phoebe as a mom, which is why they wrote the surrogate storyline in. A fun fact, during the shoot they made Phoebe's belly larger than it was, since she was supposed to be pregnant with triplets. In the pic above you can see Lisa's actual son Julian. Last but certainly not least on our list is the fierce and iconic Olivia Pope. Anyone who watches her show knows Olivia has no kids - and honestly with her lifestyle we're not even sure kids would be a good idea. But actress Kerry Washington, who was pregnant during some of season 6, has two children with actor and former U.S. football player Nnamdi Asomugha. And while the show's crew definitely tried their best to hide Kerry's baby bump as much as possible, if you go back to beginning of season 6, you can occasionally spot her bump in a scene here and there.